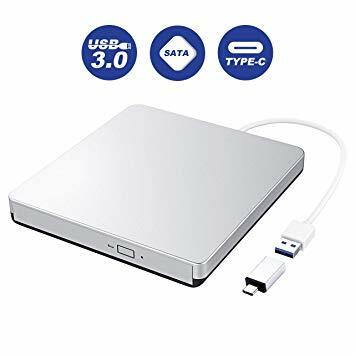 Every time when people talk about portable Blu-ray burner for Mac, there seem to be numerous issues for what to choose and how they really work out with Mac as you do have discs you want to watch, play, or rip. Well, you have come to the right place while your Mac has ditched this function, as we have picked up the best portable Blu-ray burners for Mac so that you can easily pick up the most suitable one. If the portable Blu-ray writer for Mac is determined, getting a great burning tool to match the one can help reach the finest result. We tried all different types of portable Blu-ray burner for Mac and made this list depending on multiple respects. Narrowing down to only 3 best portable Blu-ray burners for Mac, if you are running out of time, try it and they will not let you down. The first one is the Pioneer BDR-XD05 as this brand has been widely recognized and admitted for over 50 years. As most customers buying this on Amazon leave many positive reviews for this portable Blu-ray burner for Mac, we are happy to believe that the quality for which Pioneer BDR-XD05 is renowned stands real. This powerful portable Blu-ray writer for Mac allows you to read and write to all BDXL discs on Mac. According to the instruction, it’s supportive to BD-R triple layer, Quad layer, and BD-RE triple layer. That is to say you can use it also for different Blu-rays. It is equipped with mesmerizing features containing an Auto Quiet mode, which will reduce noise potentially by adjusting the disc speed. Another one is PowerRead that can help the player deal with slightly scratched discs or fingerprint smudges. The external Blu-ray burner Mac draws power from the USB 3.0 connector. An adapter is necessary when using a newer Mac as well as the diminutive form factor can make it a highly portable unit. If you check the Pioneer packages Cyberlink Media Suite 10, it only works for Windows PCs with the drive, so you’ll need other software tools (e.g, Leawo Blu-ray Creator) to burn Blu-rays. The second one is Topelek as it is a professional external Blu-ray drive。Its price can be around the same price as the Apple SuperDrive. This portable Blu-ray burner for Mac offers an external Blu-ray player with burning options of CDs, DVDs, and Blu-rays. It’s powered from a USB 3.0 cable. Chrome chassis looks stylish while slimline dimensions make it convenient to pop into a laptop bag or got space on a desk. It’s programming at high speed but also keeping in low noise. Very cool choice if you got this one. This portable Blu-ray writer for Mac is perfect for some friends with a limited budget as its price is the most reasonable with the excellent performance of watching and creating Blu-rays to beef up Mac’s entertainment possibilities. You can get it within £25, while it is functioning more than that price you pay. By the moment, more than one thousand reviews for Patuoxun have been given on Amazon, which comes to an average rating of 4.5 out of 5.As with other best portable Blu-ray burners for mac on this list, there is a need of USB-C dock or hub to make it cope with Mac. Hopefully, you find the one you like. No matter what you have chosen, a good Blu-ray burning software tool can make the portable Blu-ray burner for Mac much valuable. As most articles will show a bunch of burning software, we still only picked up three of the best Blu-ray burning programs. They have been tested and work pretty well with all the portable Blu-ray writers for Mac above. I have to say, the burning process is so much enjoyable with Leawo Blu-ray Creator among many burning software programs. Let’s have a closer look. 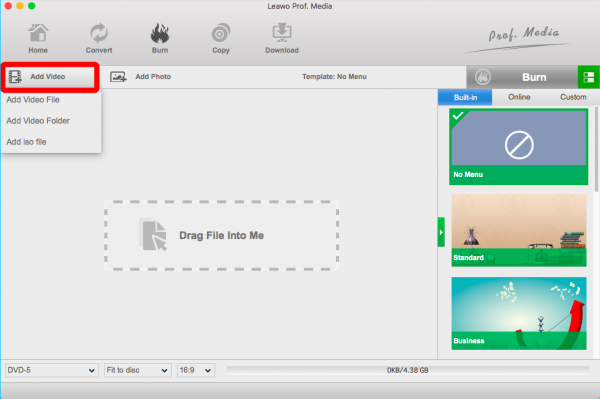 Leawo Blu-ray Creator for Mac is fully compatible with the Mac system. It is a professional Blu-ray burning software for Mac users to burn video, video folder or ISO files to Blu-ray disc with ease. 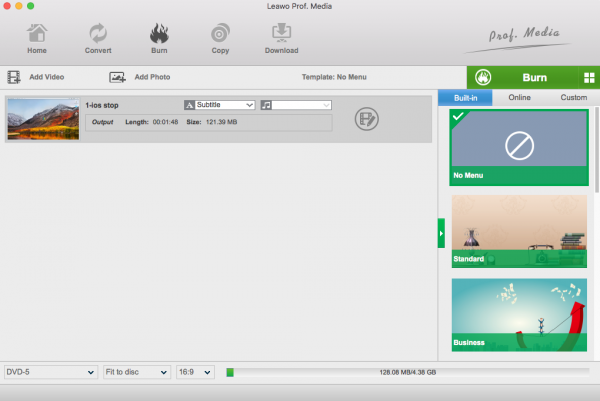 It also provides multiple tools to edit the video being burned, including video editing features like trimming, cropping and adding watermark. With this software, you can also convert plain 2D videos to 3D Blu-ray content. The 3D effect is truly stunning, with simple settings you can make your own 3D movie and have cinema-like watching experience. If you want to be more creative, then you can’t miss this software. It has a built-in video player that allows you to playback or preview any video so that you can check before putting into Blu-ray discs. In addition, it handles more than 180 video formats while it’s still running fast and stable. There are also many other features like making photo slideshows and templates for users to make a customized Blu-ray disc. Leawo Blu-ray Creator is one of the best Blu-ray editing software tools for Editing Blu-ray. Express Burn for Mac is another alternative Blu-ray burning software that employs drag-drop-burn approach. As the Express Burn is a totally free burning software for Mac, the main function is to record a data or audio in a fast and easy way. Express Burn supports most video formats because of the DirectShow based codec. The additional function like audio formats conversion is a plus option and offers convenience to most people. With this software, you can create and manage chapters on Blu-ray discs. It also supports dual-layer Blu-ray disc recording. Whereas it is including CD/DVD writing process that using proprietary optimizing systems, burning features are available such as Data CDs, Audio CDs, and Mp3 CDs. However, you have to upgrade to Burn Plus so that you can burn to Blu-ray. Roxio Toast has been renowned as the flagship of burning different discs. Generally, with the capability of supporting multiple drives that the Mac native software does not have, it fixes millions of problems for Mac users. Recently, as the fundamental ability to burn Blu-ray discs, it has been merged into a full suite of applications, including utilities to sustain import and clean up audio and photos, import and export TiVo recordings, and even label and catalog Blu-ray discs. 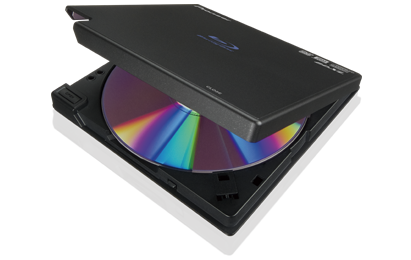 From most common disc formats to lesser-used ones such as PhotoDisc, Enhanced Audio CDs, and Video CD/DVDs are all supported. It provides around 100+ themed templates to create the disc menus. 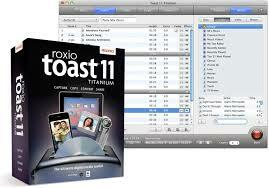 The Roxio Toast 11 Titanium born with Blu-ray Video Disk Plugin package enables users to burn any HD video to Blu-ray discs that can be played on most commercial Blu-ray players. Along with the burning feature, you get the audio and video editing tools which make your movie even more suitable for your own watching need with more fun. 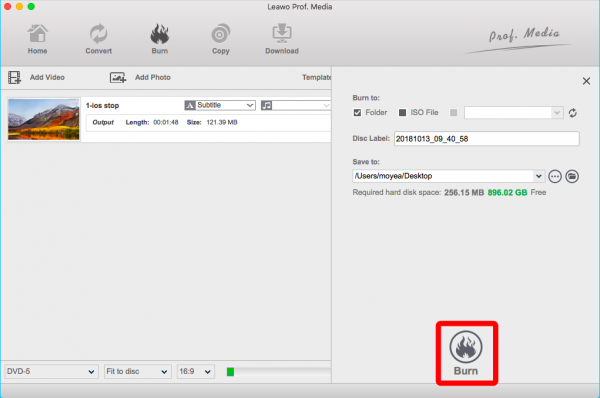 Here we have a detailed instruction to show you how to make the portable Blu-ray burner for Mac work more efficient with Leawo Blu-ray Creator. Step 1. Importing your videos or files. Put your sources in meanwhile inserting a blank Blu-ray disc into the portable Blu-ray burner for Mac. Directly dragging files to Blu-ray Creator for Mac as one way. You can find and click on the “Add Video” button to browse and add files/folders as well. Check the bottom, set up the output disc type, adjust the burning speed, and set aspect ratio as 16:9 since 16:9 is only available for Blu-ray. Moreover, you can see the required space as described below clearly. 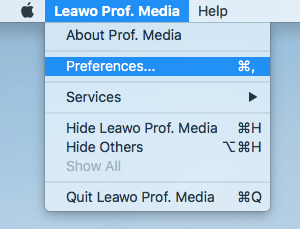 If you move up to the menu panel of Leawo Blu-ray Creator right on the up-left corner and click the “Preferences”, you can get into Mac Blu-ray Burner settings. 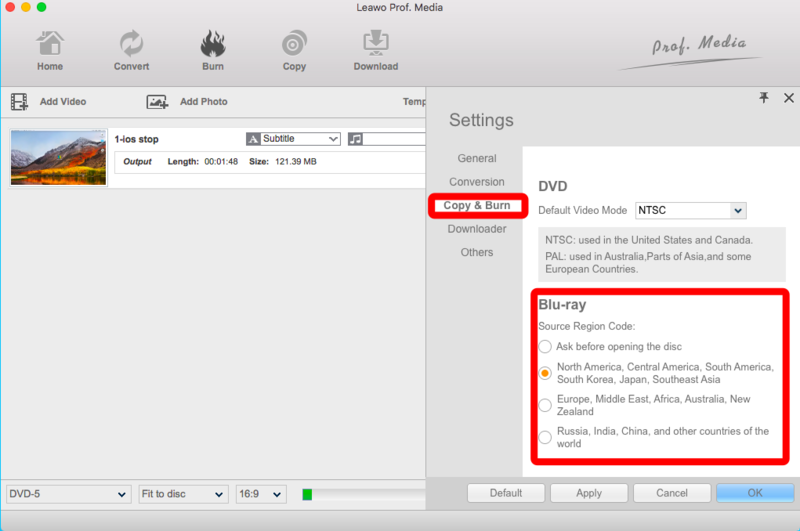 Try to navigate to the “Copy & Burn” where you can choose default DVD video mode and source region depending on needs. Whenever you are prepared, click on the big green “Burn” button circled in the red box. There is a sidebar showing to set the last burning settings, “Burn to”, “Disc Label” and “Save to” options. The directories can have multiple choices as now you can select the black Blu-ray disc as the target under the “Burn to” option. Everything will be done by clicking the “Burn” down on the popup sidebar in order to begin burning a Blu-ray disc with Leawo Blu-ray Creator for Mac. 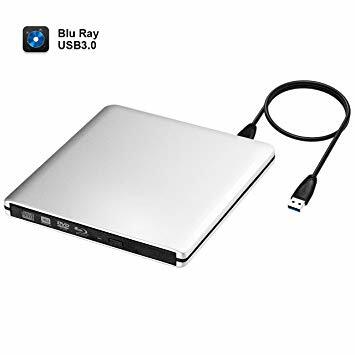 While looking through Amazon reviews and searching for a right portable Blu-ray burner for Mac, you may not find the correct tools for burning Blu-ray discs. I hope this article can help and guide you to burn Blu-ray discs for your own need with ease.